Did you know the first Fire Emblem game to get an English release was actually the seventh in the series? Read on to learn about the first six and see how the series has evolved over time! 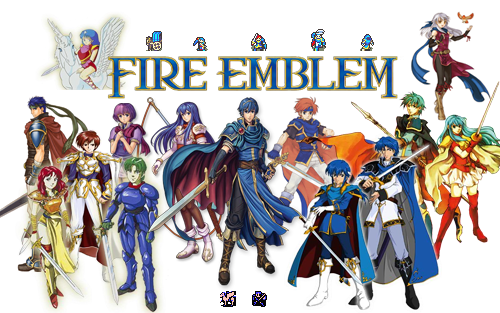 Fire Emblem made its debut in late 2003 in North America, arriving in Europe eight months later in 2004. It starred Eliwood, the father of Roy, the latter of whom was made popular in Super Smash Brothers Melee. It followed Eliwood as he and his allies attempted to locate his missing father. In the process, they became embroiled in a conflict that threatened to bring the dragons of old back to life and wipe out the human race. 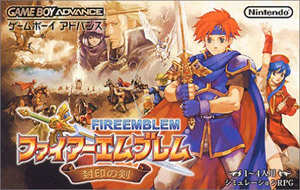 Known in Japan as Fire Emblem: Rekka no Ken, or Fire Emblem: Blazing Sword, this game was actually the seventh entry in Intelligent Systems’ tactical series. The only reason Fire Emblem got released here in the West was because of Marth’s and Roy’s popularity in Melee (for the record, and to this writer’s great amusement, Roy has yet to make an appearance in a Westernised Fire Emblem game, though that may change if we do indeed receive all of Awakening’s DLC). In this article I’m going to be taking a look at the first six games in the Fire Emblemfranchise and how it has evolved over time. From the features that were tested and rejected in its early years to mechanics like the weapon triangle that we take for granted today, read on to find out where it all came began! Fire Emblem: Ankoku Ryu to Hikari no Tsurugi, or Fire Emblem: Shadow Dragons and the Blade of Light was released in 1990 for the NES, marking the series’ debut. It starred Marth, who was on a quest to prevent the Dark Pontifex Gharnef from reviving the ancient shadow dragon Medeus and ravaging the land of Akaneia. It culminated with Marth sealing away Gharnef and Medeus using the holy power of Falchion. Sound familiar? It should, if you’re a veteran of the series. This game was later remade for the DS and released in the West in late 2008 for Europe and early 2009 for America, under the name Fire Emblem: Shadow Dragon. In its original state, this game would have been near unrecognisable to modern players. Units could give weapons to allies with a spare slot in their inventory, but could not trade. There were multiple classes that could not promote at all, staves did not increase experience points (making it near impossible for healers to level up) and even the iconic weapon triangle was absent. An unmistakeable Fire Emblem trait that was present, though, was the limited use of weapons and items; once they break, they’re gone. The same could be said for its characters. One thing which fans of the Fire Emblem series love is the added challenge of keeping your characters alive. For if they fall in battle, they will not rise again, leaving it entirely up to you to decide if it is worth starting over again for them or not. 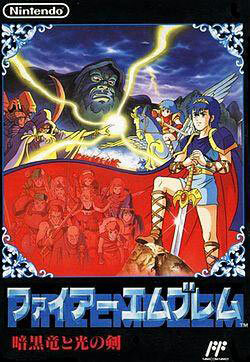 Fire Emblem: Gaiden was the second game in the Fire Emblem series. It was released for the Famicom in 1992. “Gaiden” in Japanese means “side story”, and Fire Emblem: Gaiden is just that. Although it takes place in the same world as Blade of Light, it takes place on the continent Barensia, far away from Akaneia. A few characters from Blade of Light make an appearance, but that is the extent of the games’ relation. Gaiden had us follow Alm and Celica as Rigel, the country on the northern part of the Barensia, invaded Sofia in the south. This was the first game which allowed the main characters to promote. It also featured a map akin to Sacred Stones, which allowed players to move back and forth across sections of the continent they had already explored. Something which has not been seen in any Fire Emblem game since was mages learning new spells as they level up. In addition, using a spell would drain the HP of the user. I don’t know about you, but I’m glad that second mechanic, at least, was removed from later games. 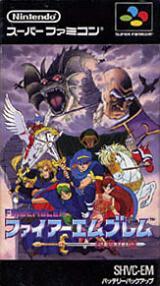 Fire Emblem: Monsho no Nazo was released for the Super Famicom in 1994. Also known as Fire Emblem: Mystery of the Emblem, it was comprised of two “books”; the first book retold the story of Blade of Light, while the second was an entirely new story taking place two years after Marth sealed away Medeus. The Emperor of Akaneia had gone mad and declared Marth a traitor, and so Marth set out to clear his name and reclaim his kingdom. Mounted units in Mystery of the Emblem were able to dismount and fight on foot. In fact, any chapter which took place indoors forced them to do so. This was the first game to introduce each new chapter with a short narrative, and the first to have a health restoration mechanic for characters standing on a fortress. 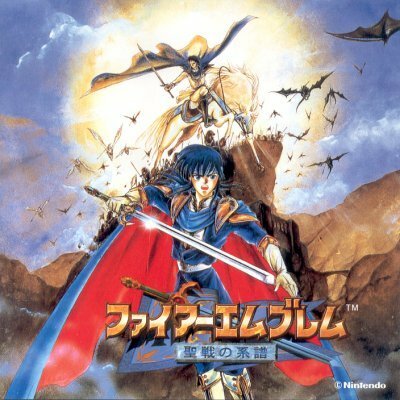 Fire Emblem: Akaneia Saga, also known as BS Fire Emblem, were four short chapters that could be downloaded for Mystery of the Emblem using the Satellaview add-on for the Super Famicom. These chapters stopped being broadcast in 1999. They were included in the remake of Mystery of the Emblem, which was released for Japanese DS’ in 2010. For reasons unknown, this game never made the jump to the West. At least, being made for a region-free console, it is possible to import it from its home country. Fire Emblem: Seisen no Keifu is the fourth game in the series and is otherwise known as Fire Emblem: Genealogy of the Holy War. It was released for the Super Famicom in 1996 in Japan, and took place in an entirely new world on the continent of Jugdral which was divided up into eight kingdoms. The story began with Sigurd’s tale as Graanvale and Isaach went to war; Sigurd, being a prince of Graanvale, got dragged into the bloodshed to defend his country. Sigurd’s story comprised the first six chapters of the game. The final six chapters took place several years after the conclusion of the initial story and had the player fighting with the offspring of the characters from Sigurd’s story. Holy War made a lot of changes to the Fire Emblem formula, and there is a lot to say about it. To start with, it had only twelve chapters, but they were longer than the other games, and each one required the player to capture multiple castles. It was possible to have items repaired at your home castle for a fee and, unlike other Fire Emblem games, each character had their own money instead of a pooled amount between the entire army. Holy War introduced a generation system. The most powerful characters in Holy War were the ones with the holy blood of the twelve crusaders of old running in their veins. Pairing off certain characters would greatly affect the second half of the game; the sons and daughters of each of the first generation’s women would have different stats based on the identity of their respective fathers and their bloodlines. Holy War introduced the weapon triangle, a rock-paper-scissors system in which swords beat axes, axes beat lances and lances beat swords. This system has since become synonymous with the Fire Emblem series. It also contained a more complex version of the support system, another series staple. Characters who fought in the same chapter and stood beside each other at the end of a turn would gain Love Points. However, some characters were more compatible than others, and if a male character had a female character standing on either side of him, or if the more compatible female is standing beside the less compatible female who is in turn standing next to the male, she will steal the Love Points that would otherwise have gone to the other woman. This is the Jealousy system, and does not appear in any of the later games. Confused? I don’t blame you. It’s a system that takes some getting used to, but ensures you think twice and then a third time before moving your units. I could take the time to discuss the details of Holy War’s complexity, but that would take far too long for the purposes of this article. Just know that Genealogy of the Holy War is a very, very well thought-out game, even by Fire Emblem standards. 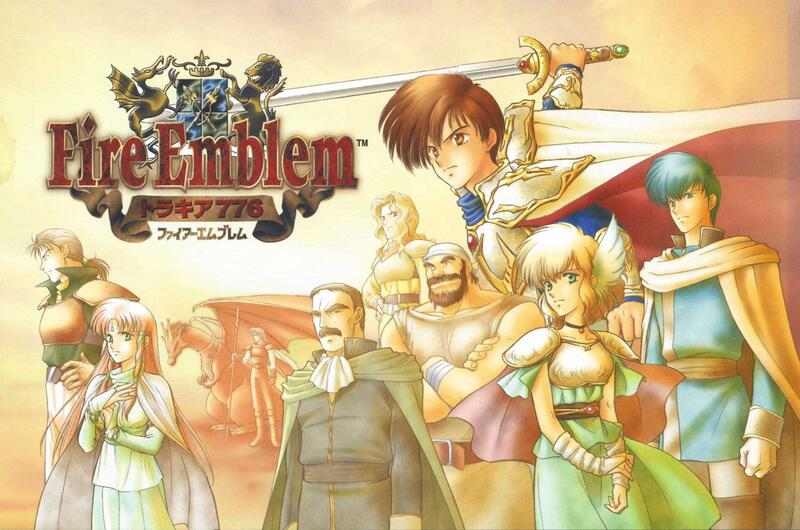 Fire Emblem: Thracia 776 is the fifth game in the series, released in 1999 for the Super Famicom. It took place between chapters 5 and 8 of Holy War, as the exiled prince of Lenster, Leaf, decided to return home and take back his birthright. 776 introduced a few of the finer details that are seen in later games and was infamous for its unforgiving RNG goddess. 776 was the first game in the series to feature Fog of War maps, where each character has only a limited field of view. Meeting certain requirements in certain chapters could, for the first time, unlock a sidequest; this had never before occurred in a Fire Emblem game, and has been featured in almost every game since. 776 also added a new map objective: Escape. As one might deduce, the aim was to make a beeline for an exit point and then have the entire army leave the battle behind them. The rescue command was a new feature in 776 that has been an asset in many Fire Emblem games since. Two interesting game mechanics that never made it out of 776 are capturing and fatigue. Every action a character used would fill up the fatigue gauge a little. When the number in the fatigue gauge surpassed that character’s HP, they were prevented from being used in the next chapter. This was presumably introduced to encourage players to use many different units. The capture option gave both allies and opponents alike an opportunity to capture their opponent and take all of their items. Attempting to capture a non-combat unit such a priest was met with no resistance. It’s a shame that this mechanic was removed from the series after 776. Finally, we have the sixth game in the series, the one in which young Roy was the star. Fire Emblem: Fuin no Tsurugi was also known as either Sword of Seals or The Binding Blade and was the first Fire Emblem game to be released on a handheld console; the GameBoy Advance. It introduced a new continent known as Elibe, which should be familiar to some of you. 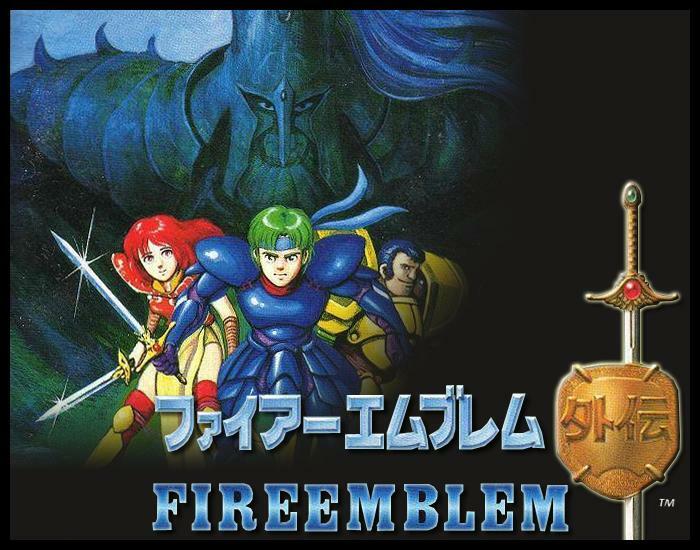 It was on Elibe that the first Western Fire Emblem game took place. The country of Bern, known for its military might, had suddenly invaded the mercenary nation of Ilia and the nomadic tribes of Sacae, quickly seizing control of both countries. Bern then turned its hungry sights on Roy’s homeland of Lycia. After losing his country to Bern, Roy led the Lycian army in the stead of his ill father, Eliwood, to strike down Bern and find out why it had suddenly turned so hostile. By the time Sword of Seals had been released, Intelligent Systems had seemingly settled on a basic formula for their Fire Emblem series. Sword of Seals looks and plays very much like its prequel, Blazing Sword. There were no real innovations here, and anyone who has played any of the Fire Emblem games that have been released in the West will find themselves quite comfortable playing this game. After Sword of Seals came Blazing Sword, known simply in the West as Fire Emblem. This was the first game to get a Western release, and, well, the rest is history. Every game since, with the exception of Mystery of the Emblem’s remake, has made it out of Japan and into America and Europe. I’m going to leave you all with one of my favourite videos for no real reason other than I love it. I hope you all enjoyed my brief trip through Fire Emblem’s history, and I hope you all greatly enjoy your copies of Fire Emblem: Awakening! I’ll be joining the celebrations in two months time when Awakening makes it over here, I’m sure. These are Such wonderful games ! Awakening is really great, couldn’t have been better. I’m glad Lucina and Daraen/Robin will be in Super Smash Bros ! Time to tip the scales !